So, basically - Physics can be fun! 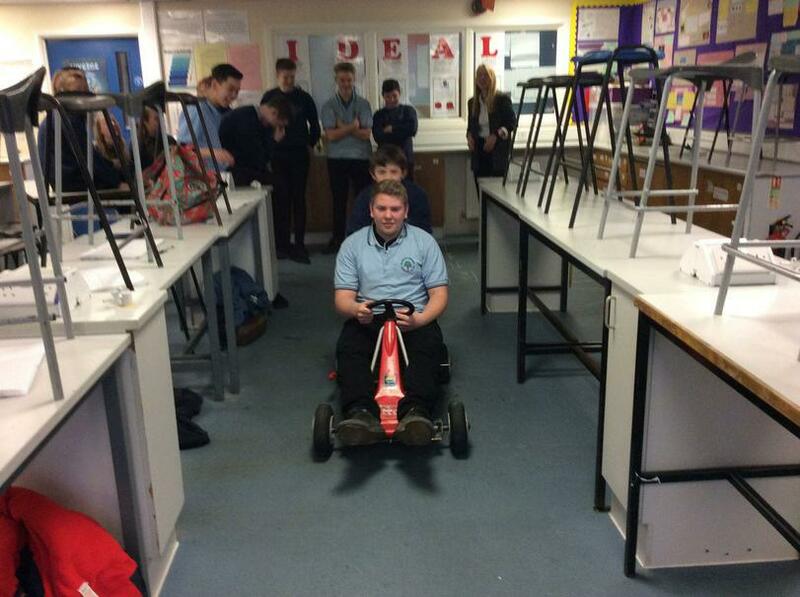 In a recent Physics lesson we used a Go-Kart to demonstrate the relationship between Force, Mass and Acceleration. Pupils were challenged to represent the real life forces on the go-kart with free-body force diagrams. This leads on to a discussion of how the relationship can be represented in an equation F = M x A. Finally pupils were given numerical values and asked to calculate how much one pupil can accelerate another pupil on the go-kart. Explain what happens to the motion of an object when the resultant force is not zero. Analyse situations in which a non-zero resultant force is acting. (Higher tier) Explain what inertia is.